My name is Mara and I have a confession. I am addicted to high intensity, sweat-drenching workouts. All right, all right, I admit it. That's hardly news. 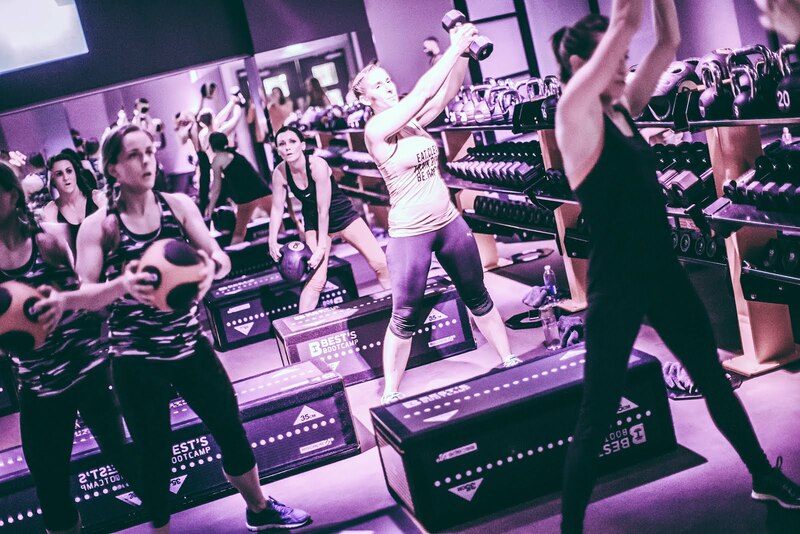 What is news, is the new bootcamp studio that will continue this fat-burning addiction. Meet Best's Bootcamp. Last week I was invited to a preview event at Best's Bootcamp and I was keen to see how Best's differs from the likes of Barry's Bootcamp, Project Fit and other indoor bootcamps. Situated in Embankment, this already impressed me. My offices are nearby and from what I know of the area, it has been quite neglected by the London fitness scene and I'm glad to see a new fitness studio here. 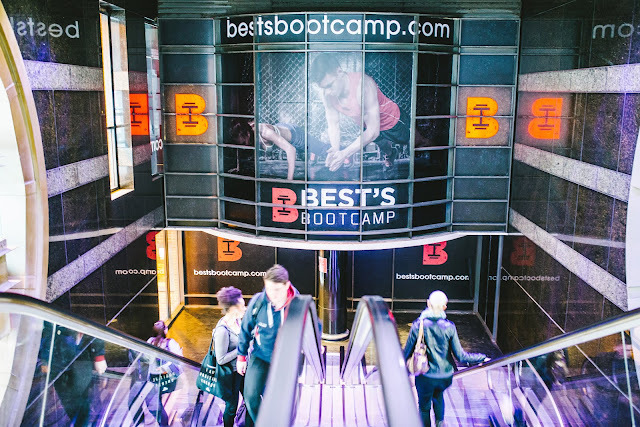 As you go up the escalators in the Arches, you are welcomed by the imposing head banner for Best's Bootcamp. It is hard to miss. Upon arrival, I was welcomed by the friendly reception staff, who gave me a shower towel and told me where I would go at the start the workout. The lockers were a winner as they comfortably fit all my bags (lunch bag, gym bag and work bag)....oh and they have mobile phone chargers inside: brilliant, brilliant, brilliant! After I got changed, I then ordered my post-workout smoothie. 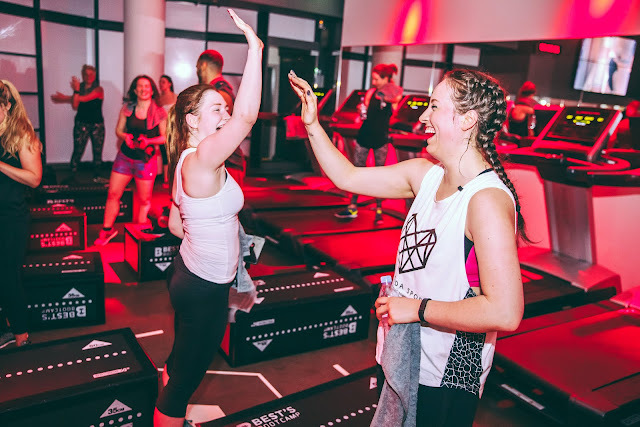 Similar to Barry's Bootcamp, the classes are divided between floor and treadmill work; you are allocated a treadmill or place on the floor. You alternate between the treadmill and floor work station throughout the class. A sweat towel is provided and placed at each treadmill and floor station. 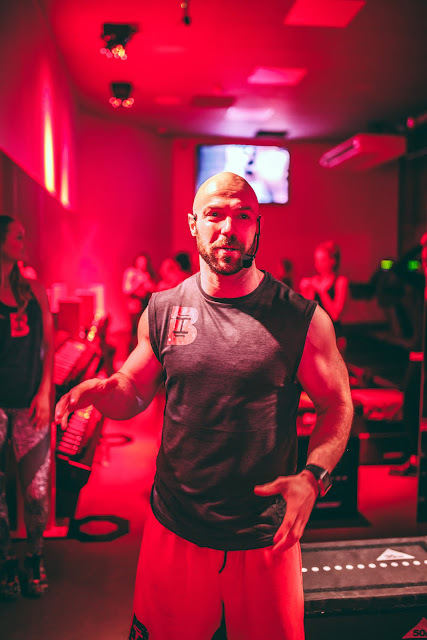 After entering the studio, the head trainer, Lee, talked us through the class format and showed us how the studio works. 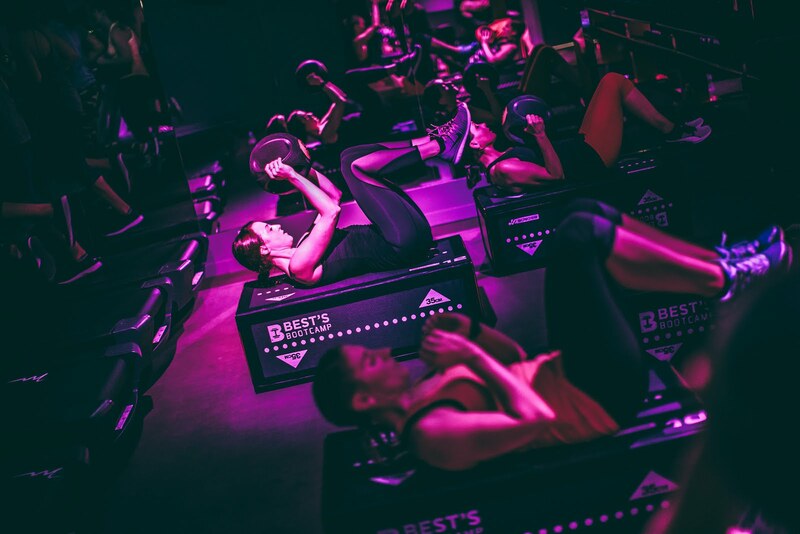 There are a number of features in Best's Bootcamp's studio that differentiates it from others. For starters, the studio contains a number of large tv screens (you can see one in the photo below) that show a live 360 degrees Instructor Camera. Have you ever been to Barry's and found it slightly hard to see what the instructors are doing? Well, this solves that problem. 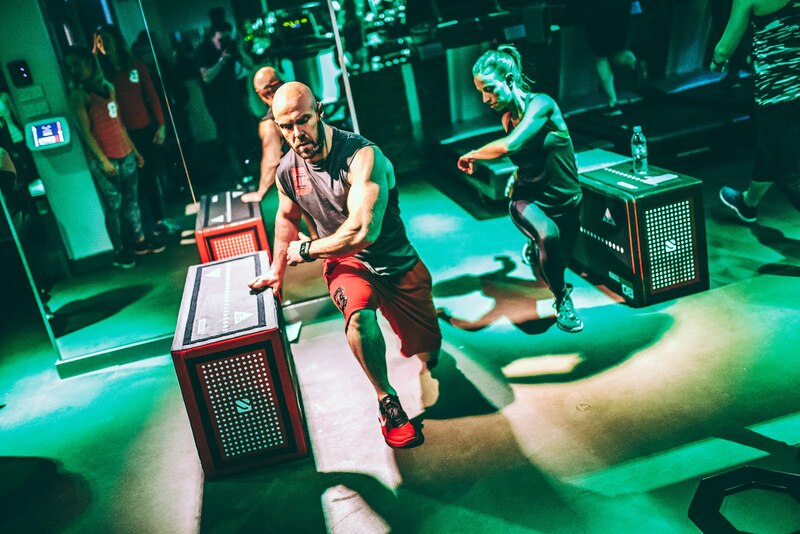 Wherever you are in the studio, you will be able to see the instructor either in person or on the tv. Then there are the boxes, which are custom-made to Best's Bootcamp and you can use them on either side, and the treadmills. 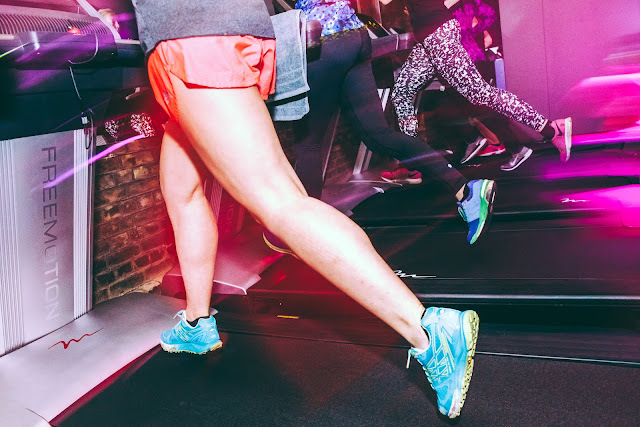 oh, the treadmills, the treadmills, the treadmills. Where do I start with them? Lee informed us that they are the only ones in Europe and the only other place they are in are the States. Anyone who has a love-hate relationship with treadmills, will leave the class with a completely different view of them. I won't go into all the other features as I think they are nice surprises, but the two main features you have to know are the down hill function and the fan. Yes, a treadmill with a down hill function! A blast from the fan will make you feel like Beyonce, and after all those steep hilly sprints, a down hill run is what you crave and Best's provides. The treadmills were so easy to use, partly due to the preset speeds, making the transition between treadmill and floor work a lot easier. I don't lie when I say these treadmills were a dream to run on and I was loving the class. See that big smile on my face if you still don't believe me (though it was hard to muster during a tough incline)! 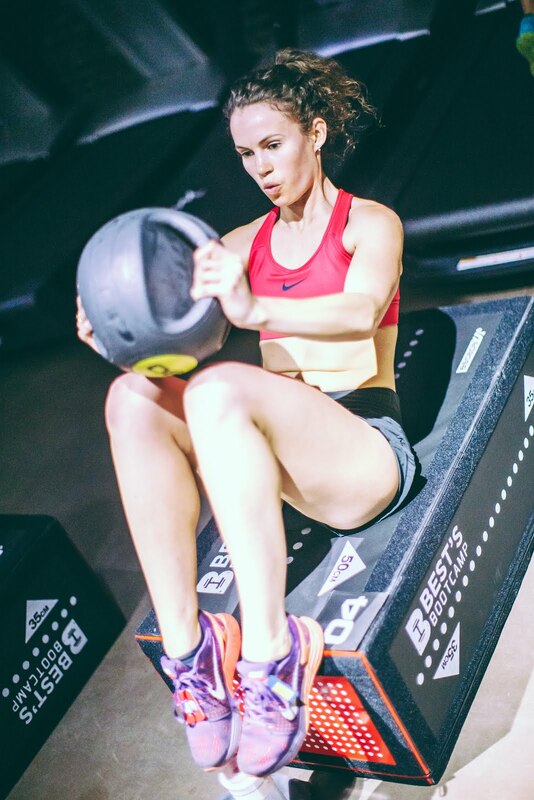 The floor work exercises use a variety of equipment, from kettlebells, boxes and medicine balls, giving you a full body workout. 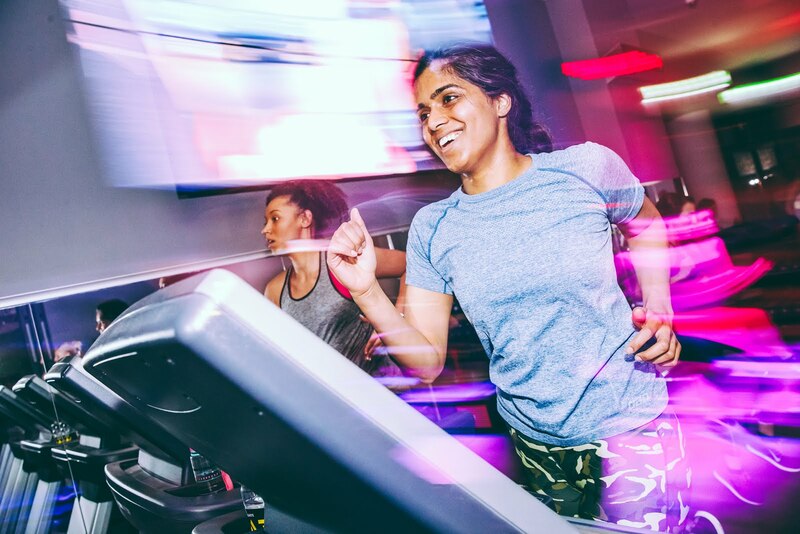 Every inch of you will burn, but the sheer determination to #BeYourBest will push you through and get you through the class. At the end of the class, you will feel like you're on a high. In terms of the classes, Best's Bootcamp offer a number of different classes. Besides the full body workout, they also have classes focusing on a push-pull system. 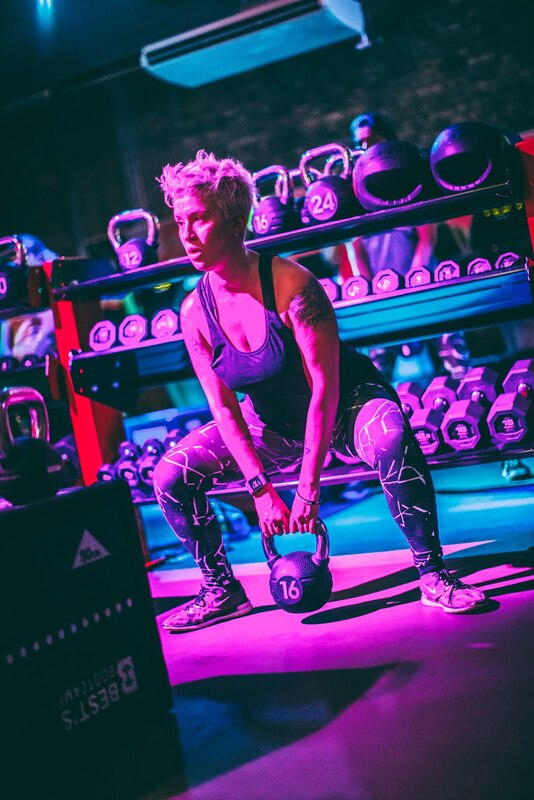 What this means is that some classes will focus on push movements (ie the muscles that you use for push movements - such as calves, quads, shoulders and triceps) whilst the pull classes focus on muscles you use for pull movements (chest, back, legs and arms). 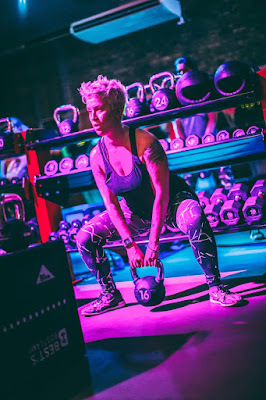 By having these classes on alternate days (similar to FitMiBody), you can theoretically spend the whole week training at Best's Bootcamp, having exercised each muscle group. When you have finished the class, the showers are equally as impressive. Stocked with Kiehl's products, hairdryers and wonderful lighting for make-up application (obviously important...), attention to detail has clearly been made for every aspect to this luxe indoor bootcamp studio. 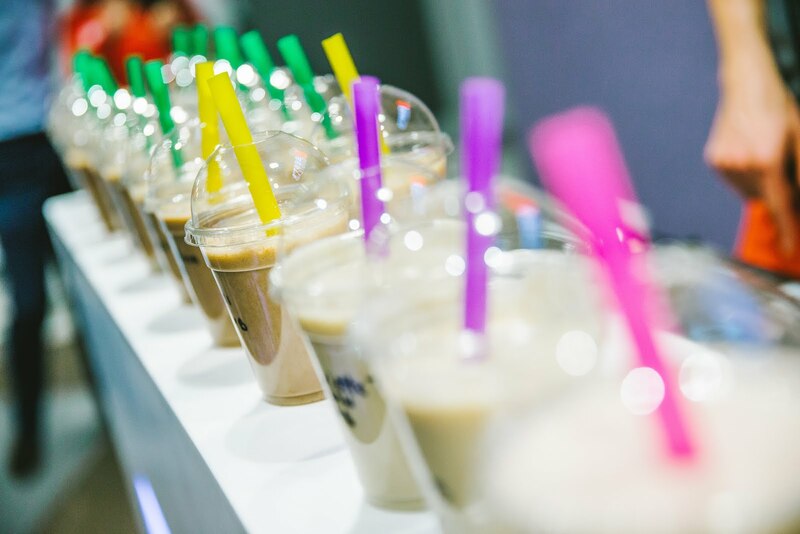 Location: 2 minutes walk from Embankment Station at 1 Embankment Place, Concourse Place (in The Arches). Who for: Anyone wanting to torch the blubber. 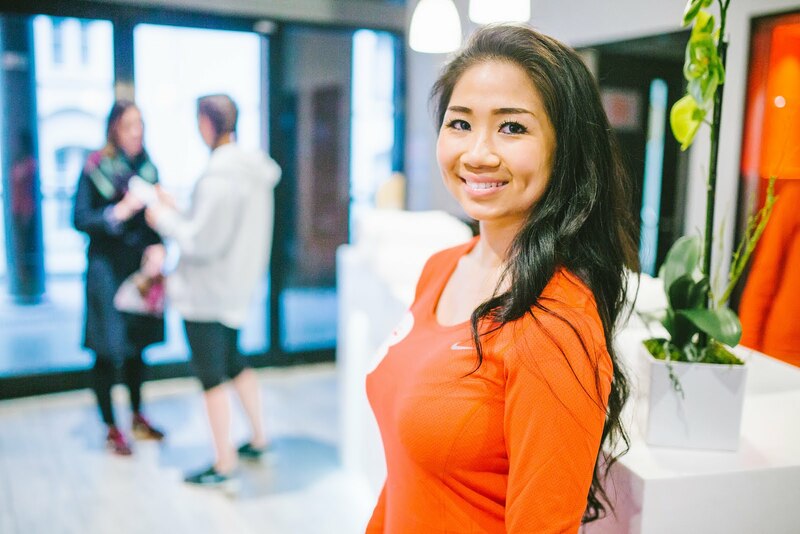 Runners will hugely benefit from Best's Bootcamp during half marathon and marathon training. Prices: £20 per class. First class is free. There are other class options, such as buying 3, 5 or 10 classes. 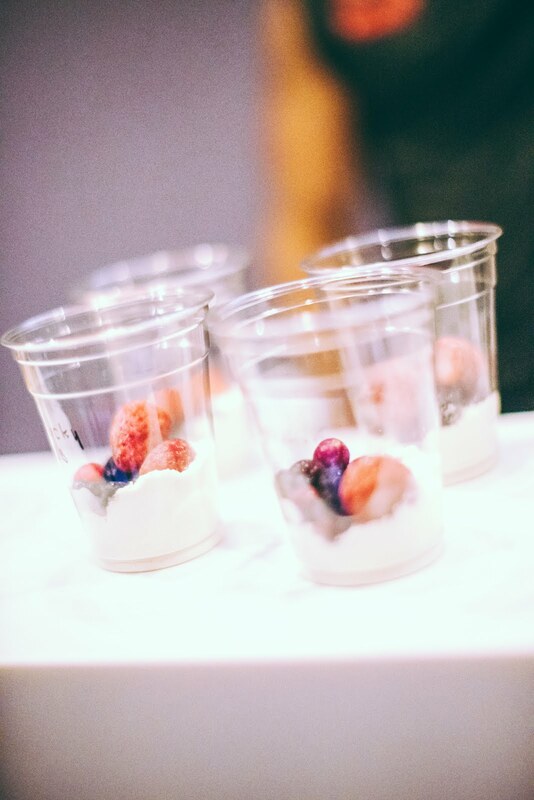 For more information, visit Best's Bootcamp's site here. 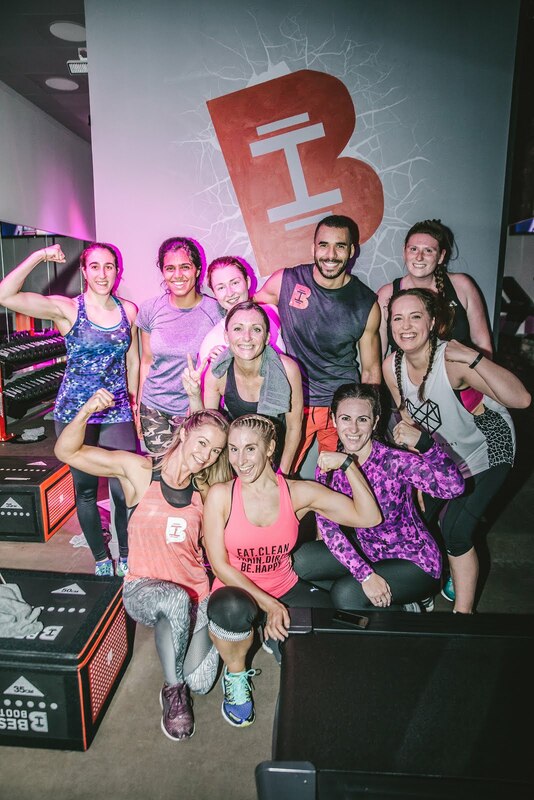 If you try a class at Best's Bootcamp, don't forget to use the hashtag #BeYourBest on social media. Photography credits to Marcel Grabowski Photography.